Days of waiting is over! 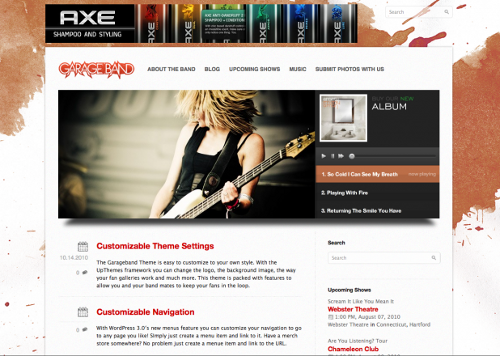 UpThemes has released Garage Band Theme 1.0. This theme is probably the best Premium WordPress Theme for the bands or musicians to maintain their online presense; not only just a blog but also concert management, fan galleries, custom mp3 music player, custom band members profile etc.